Morita’s Picture Framing has been providing quality custom framing to the Silicon Valley since 1973. Our goal is find the perfect design for framing your art,whether it’s a favorite piece with sentimental value or a museum quality collectable. We strive to give you a finished product you will enjoy for years to come. 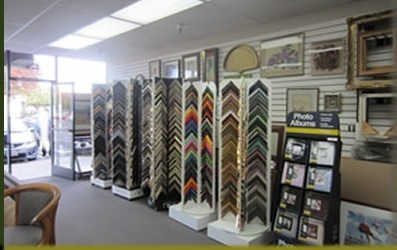 We make it easy to find what you want, because we carry one of the largest selections of picture frame samples in the Bay Area. Including frames for shadowbox and objectframing, floater frames and frames for mirrors. Family Owned Store since 1973: Our success is determined by your satisfaction. You will be pleased with the assistance we provide.